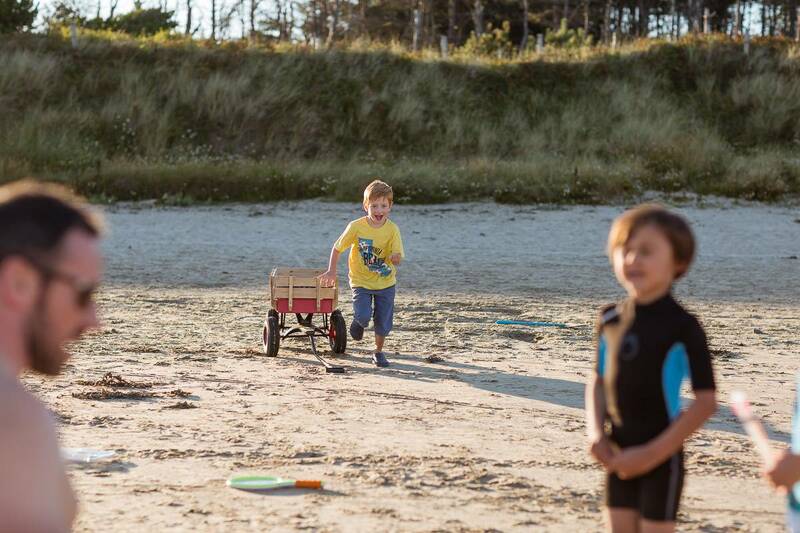 Despite the luxurious nature of the lodges at Silver Bay we are fully aware that entertaining a family, especially at weekends and during school holidays can become expensive, and is often unnecessarily so. Anglesey and north Wales is a hotbed of inexpensive and brilliantly entertaining things family activities to do. So, let’s keep the kids amused without breaking the bank! Firstly, there’s no charge for our residents to enjoy a long day out at the private Silver Bay beach. Games can be played, sandcastles can be built, and swimming can be enjoyed. All of which pretty much guarantee that an exhausted child will sleep soundly throughout the following night. There’s also no charge for a day at The Spa where children can make use of the family friendly pool whilst you sit back and enjoy a coffee and a newspaper. Alternatively, you might want to venture further afield without spending a fortune, which is completely understandable! Here are a few options for spending a day offsite and amidst everything that Anglesey has to offer. Rated on Trip Advisor as the number 1 attraction on the Island of Anglesey this beach is a delight. You can walk along the coast and take in the fabulous views; the beach is huge, spotless and dog (and child!) friendly. The toilets are immaculately clean and there’s a super little café where you can pick up a bacon butty or an ice cream. There’s lots of parking for your convenience, it’s easily accessible and entirely free! This is the largest museum of its kind in Wales. You can take the kids for a glimpse of days gone by via more than 100 gleaming classic cars in perfect condition, all from the 1920s onwards. There are motorbikes, vans, military and agricultural vehicles that are often used in film and television. There’s a quaint café and tearoom for a bite to eat and an outdoor play area where the kids can burn some energy whilst you watch over them and relax with a coffee. The owners are also fantastic, enthusiastic and friendly. Tacla Taid is a great place to take the kids, especially on a rainy day and the entry price hopefully won’t break the bank. A slightly pricier option, but there is SO much to do here that you’re looking at very tired kids following a full day out, which some would say is worth every penny! There are so many wonderful animals to enjoy, there are waterfalls and live butterflies flying all around. There’s a birdhouse and lots of reptiles you and the kids are welcome to hold during the animal handling sessions. There’s a bug zone and a tropical lair of tarantulas, scorpions and exotic toads. You can take a walk through the farmyard and see the goats and hens. It really is an animal lovers paradise. Afterwards you can explore the nature trail and let the kids enjoy the bouncy castle, indoor play area and adventure playground. This is place for children that is both educational and fun, yes it’s a bit more expensive, but we believe it’s worth every penny, plus there are reductions for families. At Foel Farm Park, you pay once and then all the rides and attractions from there onwards are free of charge. The farm is a place where the whole family can experience a real working farm and everyone can meet, touch and feed the animals. You can enjoy tractor and trailer rides, quad bikes and pony rides. In spring and early summer the children can bottle feed the baby lambs. The Anglesey Chocolate Farm is also on the site where you can see chocolate being whipped up by the resident chocolatier. It would be almost rude not to treat yourself and the kids to one or two whilst you’re there!